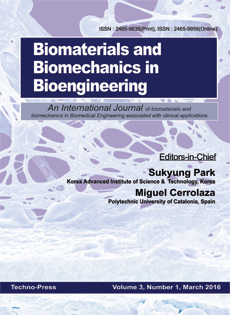 The "Biomaterials and Biomechanics in Bioengineering (BME)", An International Journal aims at the integrated source of information on new biomaterials technologies and bioengineering including clinical applications. The scope of BME journal includes; Fundamentals of biomaterials; Design/manufacturing biomaterials; Nano-bio materials; regenerative medicine; Stem cells and cell therapy; Drug and gene delivery; Biomechanics; Modeling/simulation/visualization; Medical devices; Living tissues/muscles/organs/artificial organs; Nerves; Fluid/blood dynamics; Bone/bone mechanics/ossification; Other relevant topics. It also covers; mechanics coupled with medical, dental, sports, care, human activity, biomimetics, and other pertinent fields. AGH Univ. of Sci and Tech. Virginia Tech-Wake Forest School of Biomed. Eng.&Sci.